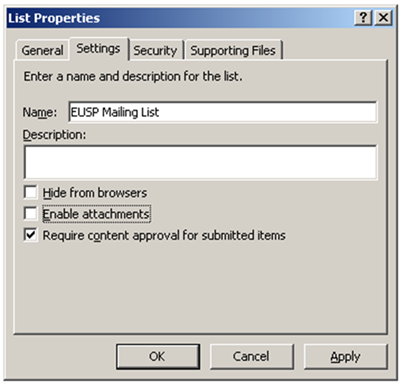 Just a quick note to let you know that part 2 of “Creating mailing lists for SharePoint sites and blogs” series has been published yesterday on EndUserSharePoint . I am writing this blog post because I have recently come across numerous blog posts and articles discussing how you can directly query SharePoint databases. 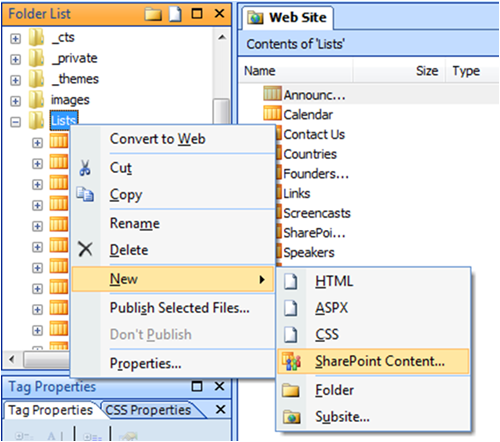 I have also stumbled upon a web part available for free that shows the most popular content among the SharePoint farm, this web part directly queries the SharedServiceProvider database to retrieve the information needed by the web part. Moreover, I have recently downloaded a tool that grabs deleted documents from the content database and saves them back to your hard drive. DISCLAIMER : I highly recommend executing the following queries in a non-production environment. This may seems better, you can avoid the deadlocks by using (NoLock) clauses BUT you will run into another problem which is retrieving incorrect data because you will be observing the database in an intermediate state (Data are not committed yet). It is clearly unsupported to update, delete, or insert records. The risks are surly far more obvious. Adding new indexes or changing existing indexes within tables . 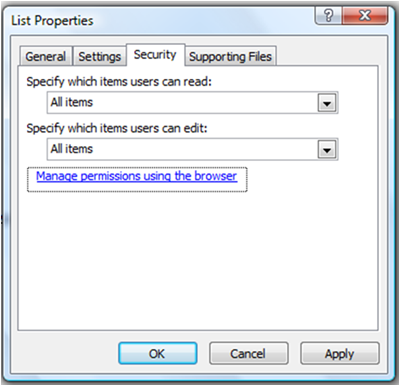 Adding, changing, or deleting any primary or foreign key relationships. 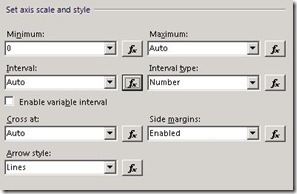 Changing or deleting existing stored procedures. 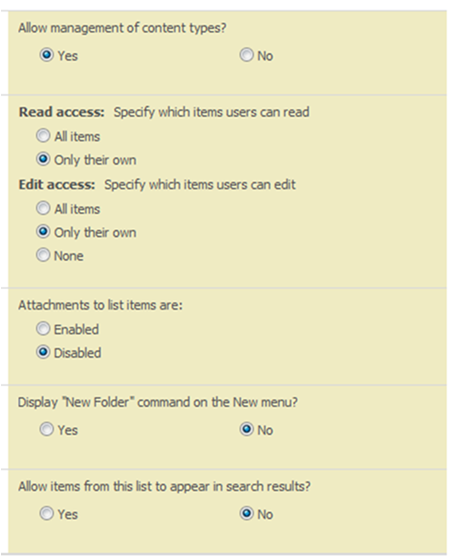 Adding, changing, or deleting any data in any table of any of the databases. 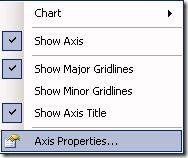 Adding, changing, or deleting any columns in any table of any of the databases. Making any modification to the database schema . Adding tables to any of the databases. 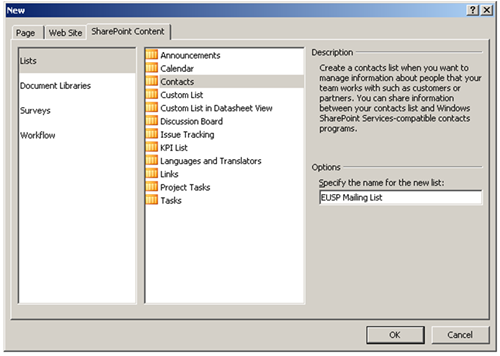 Direct Queries to SharePoint databases is a considered a no-no, you should use SharePoint object model or web services instead.Do not worry, I will show you in later posts how to do the data access through the object model, stay tuned! This time, I’m not the presenter. This time it’s Laura Rogers, the highly active SharePoint expert and presenter. This webcast shows how to create conditional formatting in a custom list form, in order to hide or display fields based on the logged in user’s permission. I really liked the trick, that’s why I decided to share it from my blog! Also, this is the link to Ian’s blog that Laura referenced in her screencast. 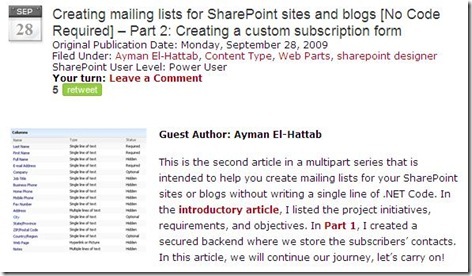 Ah, by the way Laura also authors very beneficial articles for EndUserSharePoint.com where I author mymailing list series, check out her articles here! I know the title seems weird, but that was exactly the subject of an e-mail message that I have received today from a SharePoint developer asking about the way he can execute some code when a document is published. The guy needs to send out the URL of a document as soon as it is published to a SharePoint group members for taking some actions. Actually there is no such thing as “ItemPublished” event, the subject of the e-mail was misleading, the guy was searching for such an event but unfortunately SharePoint doesn’t provide it in its object model. When a document in a library is published, “ItemUpdated” event fires and the only way to detect that an end user has chosen to publish a document is by checking ModerationInformation in ItemUpdatedevent handler to see if the list item is in a published version or not. Approved is published.